ItemD-01292 - Victoria, View Of Empress Hotel From Parliament Buildings. ItemD-01301 - Barriere School Students. ItemD-01302 - Barriere school students. ItemD-01305 - Visit of Queen Elizabeth and Prince Philip, Duke of Edinburgh, to Vancouver. ItemD-01333 - White Lodge, Fulford Harbour, Salt Spring Island. ItemD-01306 - The Carnarvon Club 'rebel arch', on Fort Street between Government and Broad Street; looking west; Victoria. 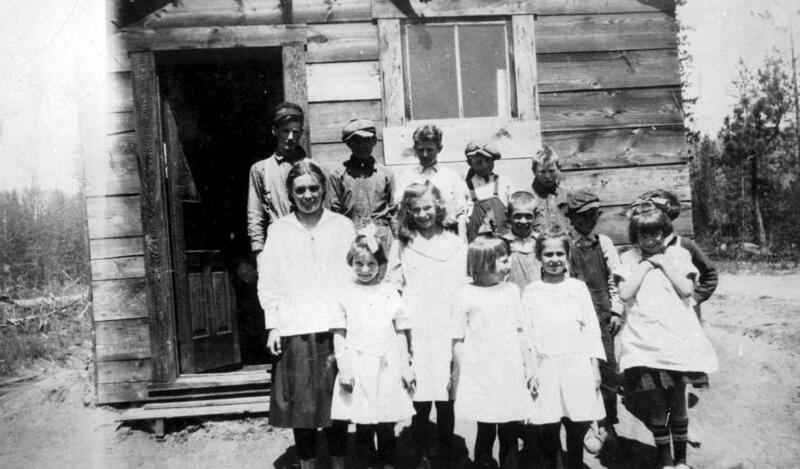 Item D-01302 - Barriere school students.